They say that applications make the platform – and superb apps optimized for the iPad are definitely a big part of what make it such a powerful and versatile device. 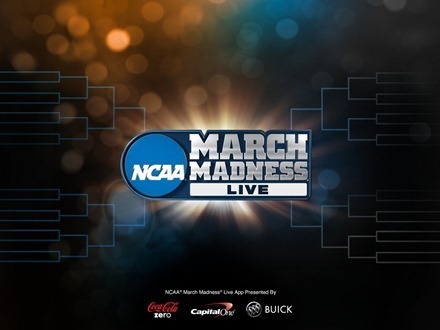 This week’s pick is NCAA March Madness Live. This is simply THE app you need if you want to keep up with the upcoming NCAA Men’s Basketball tournament. March Madness is one of the greatest annual sports events in the US, or anywhere really. The tournament format is excellent, the games throughout the tourney always seem to be packed with drama, big upsets, and epic last second finishes. The selection show to unveil which teams get into The Dance this year is tomorrow at 6:00PM Eastern – and of course you can watch it live on the March Madness Live app. Speaking of watching live, you can watch all 67 games of the tournament live on the March Madness Live app too. For anybody who cant just take the next three weeks off to watch the tournament that instantly makes this app a must-have. The app also offers latest scores, stats, live game alerts, video highlights, and some social media links. And of course it lets you make your picks and keep up with your bracket within the app. Here’s an App Store link for NCAA March Madness Live: it’s a free app and a universal app designed for iPad and iPhone. Will you be able to use Airplay with this app??? I cannot uisng charter. Can anyone? How?